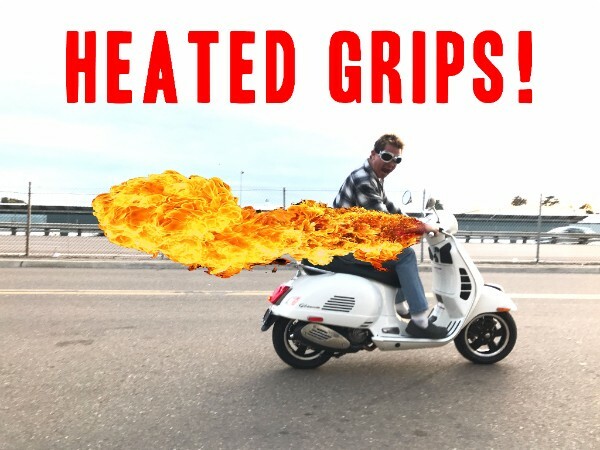 Baby, It’s Still Cold Outside, How About Some Toasty Grips? With the winter months here and the rainy days and cold nights showing us who’s boss, we have a little something up our sleeve to combat it. 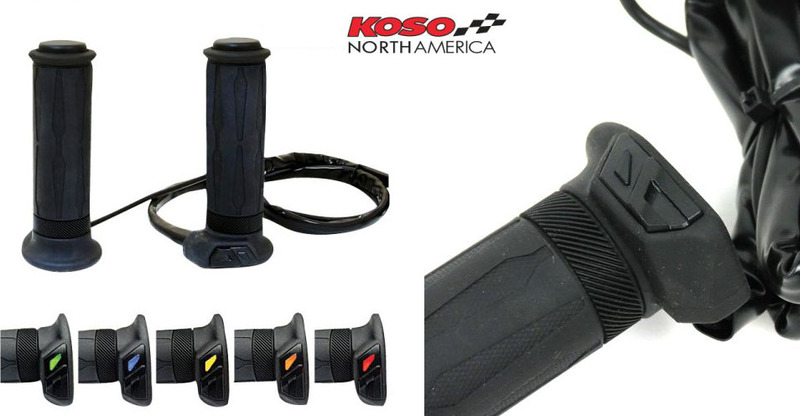 Apollo Heated Grips by KOSO are in stock and ready to be installed to make your life more enjoyable on those rides to Antarctica, Grandma’s House or just down the street to the grocery store. Integrated thumb switch designed for easy setting without removing your hands from the handlebar. Low Battery Warning protection to ensure your bike has enough power to start. We’ve installed and tested the KOSO Heated Grips and we can tell you first hand that in cold conditions, rain, and snow, they make a huge difference in the comfort of the ride. 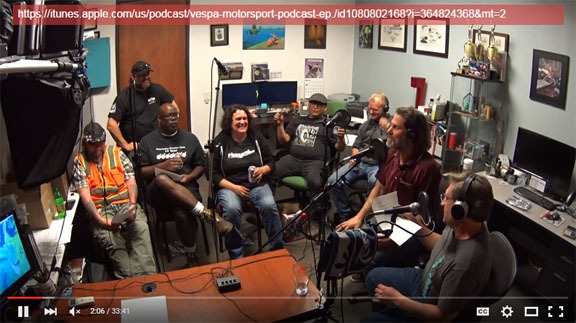 In this special Podcast, we Skype with Jay Blundon who is organizing this year’s Amerivespa in Memphis, Tennessee. Jay gives us a breakdown of what to expect at the rally, plus some fun giveaways. 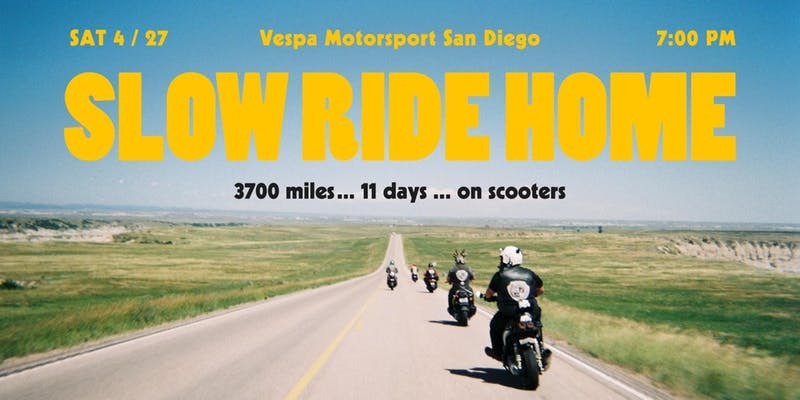 See http://amerivespa.org/ for registration and schudule. 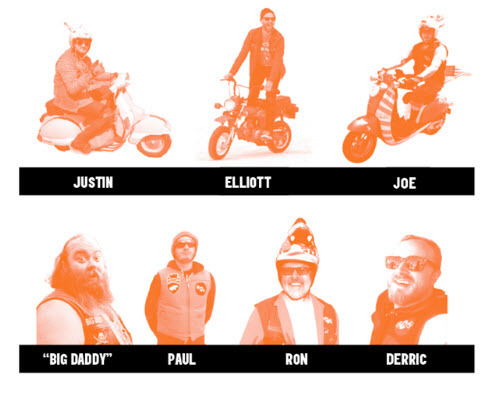 We welcome back local scooter legend Eric Dutra to this week’s podcast part Deux. Eric is an expert in all makes and models of scooters and has arguably the largest scooter collection in San Diego. 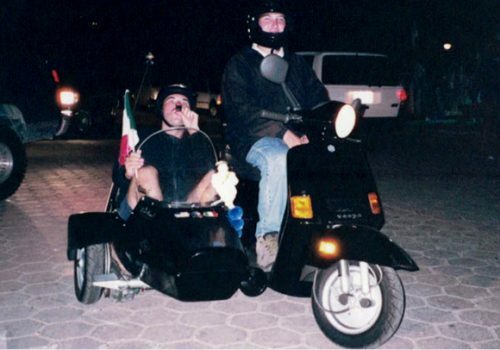 We discuss his history with scooters and some of his travels abroad. Check it out on Soundcloud, iTunes, and YouTube. 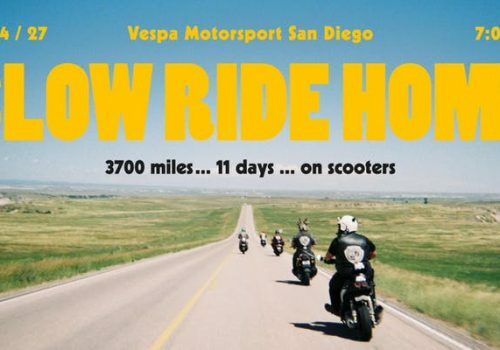 We welcome local scooter legend Eric Dutra to this week’s podcast. Eric is an expert in all makes and models of scooters and has arguably the largest scooter collection in San Diego. 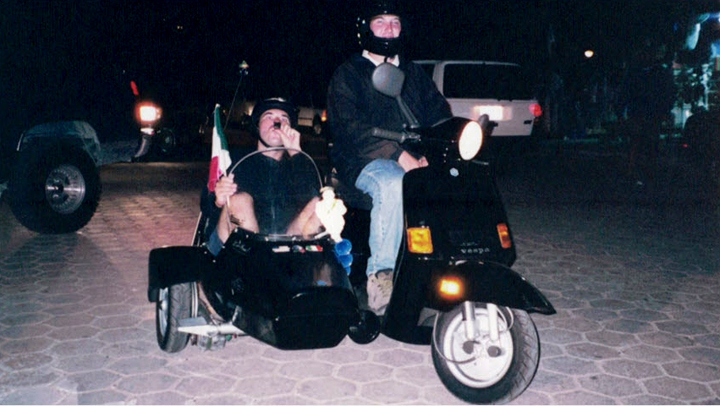 We discuss his history with scooters and some of his travels abroad. Check it out on Soundcloud, iTunes, and YouTube. You protected our country and now we want to protect you! By AlexApril 9, 2016Comments Off on You protected our country and now we want to protect you! 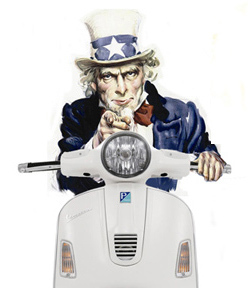 For a limited time only, any active-duty member of the Military that purchases any new or pre-owned scooter from Vespa Motorsport will also receive a FREE jacket and pair of gloves. Military discount details: Purchase of a new scooter is required. Open to ALL ACTIVE military personnel only. NO CASH VALUE. Maximum retail value is $235. Jacket and gloves must be redeemed at time of sale. Limited to stock on hand. 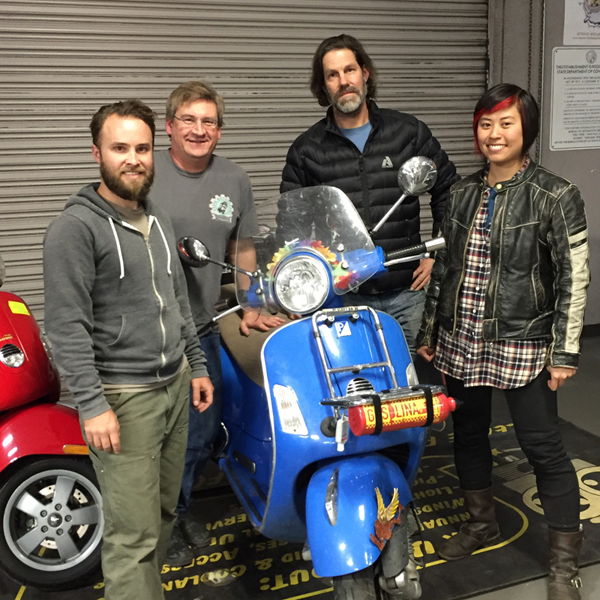 We had a surprise visit from cross-country Vespa traveler, Stephanie Yue. Stephanie has been scootouring for the last 2 years across the USA with trips into Canada and Mexico. 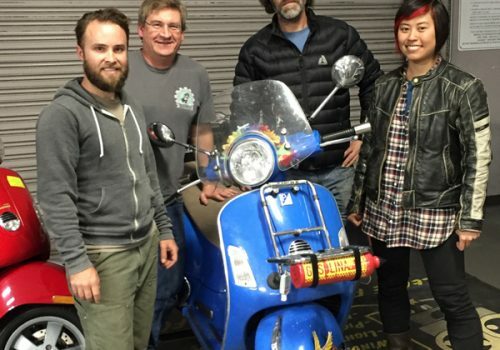 We learn about her history with scooters and why she’s on her trip, as well as some highlights she’s had along the way. Be sure to check out her blog documenting her epic journey. Episode 5 we invite the Pharaohs Scooter Club of San Diego. 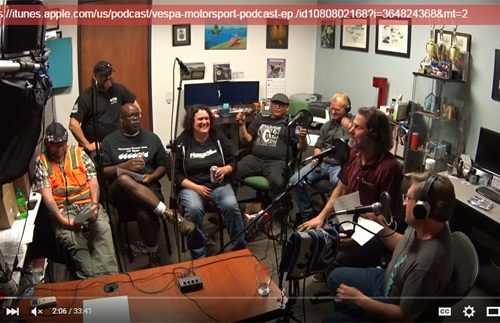 The rowdy bunch gives a brief history of the club as well as some fun stories from past rallies. They will be hosting their annual event, the King Tut Putt, in March 2016. Check it out on YouTube, Sound Cloud, and iTunes. WARNING!!! THIS EPISODE DOES HAVE SOME EXPLICIT LANGUAGE! Episode 3 we invite back Fabio Ballarin to supply some more in depth stories about the scooter scene in San Diego in the 80’s. 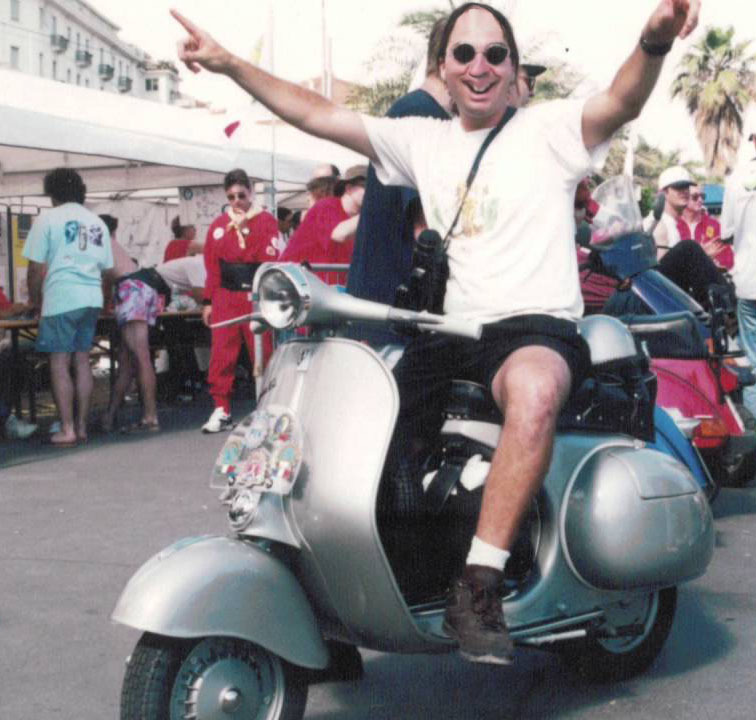 Fabio played an integral role in keeping the scooter scene alive in San Diego and is a huge reason why Vespa Motorsport is what it is today. This first interview with Fabio talks about his childhood in Paris and how he came to love Vespa Scooters and mopeds. 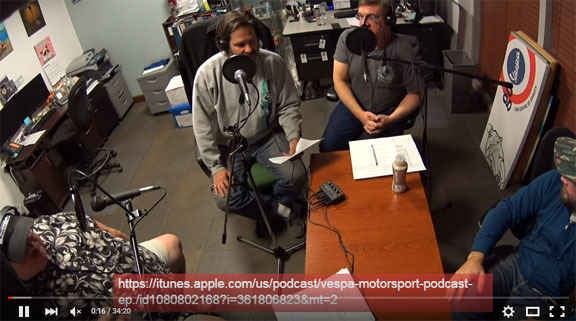 Episode 2 of our Vespa Motorsport podcast features our first guest, founder of the original Vespa Supershop Inc, Fabio Ballarin. Fabio played an integral role in keeping the scooter scene alive in San Diego and is a huge reason why Vespa Motorsport is what it is today. 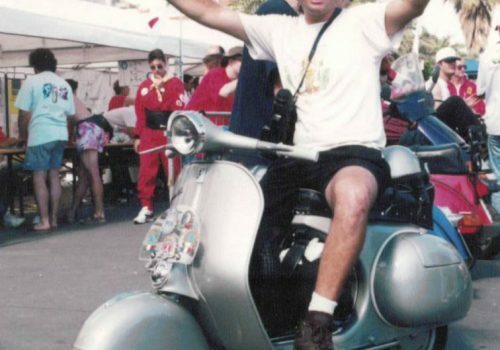 We interview Fabio about his childhood in Paris and how he came to love Vespa Scooters and mopeds. Part 1 of 2. 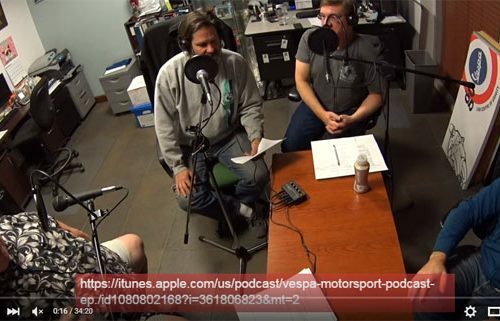 You can subscribe to the Vespa Motorsport Podcast here.